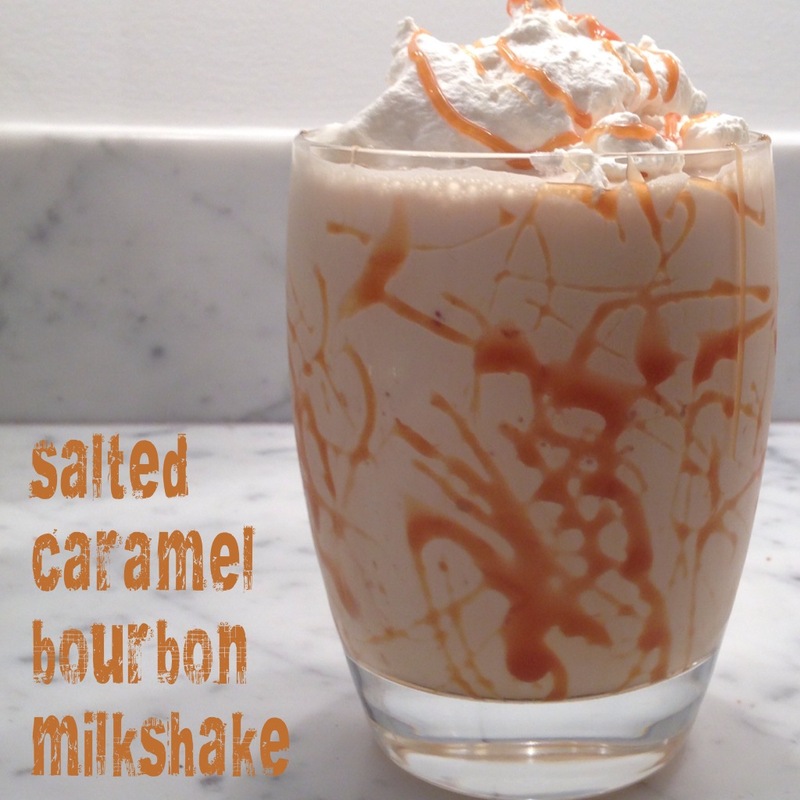 salted caramel bourbon milkshake | Is there any wine left? I don’t ever pull a tub of it out of our freezer for dessert. But I can’t get over my love of milkshakes. In my opinion, this shake flavored with rich salted caramel and bourbon is the best frozen dessert out there. Enjoy! Add the sugar and water to a saucepan and cook over medium heat for about 15 minutes. Swirl the pan – don’t stir! The mixture will slowly darken until it has reached a dark amber color. Remove the pan from the heat and whisk for 30 seconds. Slowly add the salt, cream and bourbon while whisking. Let cool for 20 minutes. Blend the ice cream, milk, and 1/2 c. of the salted caramel bourbon sauce. Dip a spoon into the remaining salted caramel bourbon sauce and drizzle it around the inside of the glasses. Pour the shake in the glasses and top with whipped cream and another drizzle of the sauce.